The increasing number of child custody cases involving parties from the two systems of Family law in Malaysia and the absence of clear guidelines for the courts has resulted in conflicting decisions in the courts. . 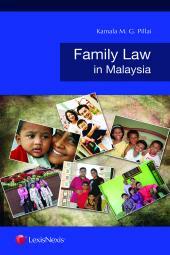 This book is a study of such cases, with objectives to resolve them. 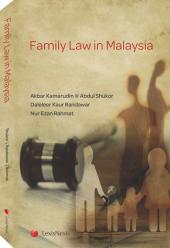 The increasing number of child custody cases involving parties from the two systems of Family law in Malaysia and the absence of clear guidelines for the courts has resulted in conflicting decisions in the courts and tremendous dissatisfaction on the part of the parties. Unsatisfactory decisions in such cases become the concern of not just the involving parties, but also the entire communities. This book is a study of such cases, with the objective that solutions are to be worked out to resolve the problems arising from them. It sets out the existing law, practice and procedure in both systems, examining current issues particularly in the conflict of law cases. 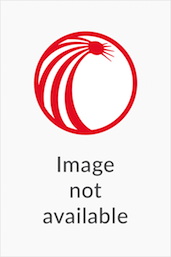 It also recommends solutions to some of the problems that arise in relation to custody dispute resolution.